PHILADELPHIA -- On a night back in 2003, Seth Berkowitz and his friends were in the dorms at the University of Pennsylvania and they were hungry. But Berkowitz became jaded with the same old fried options that were only available late at night for delivery. He wanted something different and thought he could change the landscape of the local food delivery scene. So he decided to just go for it. "I had a sweet tooth and Insomnia was born," Berkowitz told Action News. The junior economics major at Penn, who had yet to decide what his future career would look like, founded Insomnia Cookies to satisfy the late night cravings of the sleep-deprived Philadelphia college students. Soon, Berkowitz's sweet idea would expand beyond the quads and dorms of University City and spread like cookie dough across the country to as far west as Colorado. In fact, the company has just opened its 100th location. "Insomnia Cookies is beyond anything I could have imagined in my wildest dreams," Berkowitz said. 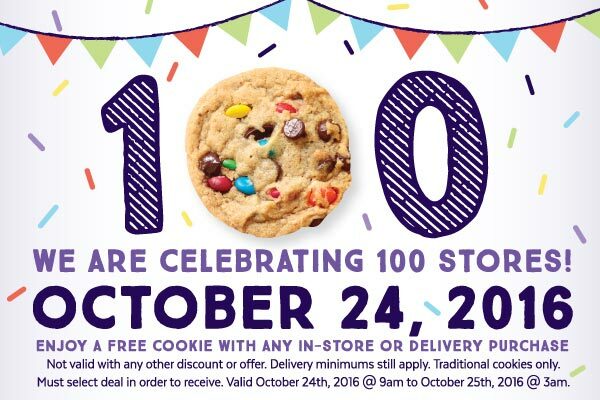 To celebrate, Insomnia Cookies is rewarding its customers with a free cookie (with any in-store or delivery purchase). The delicious deal is available 9 a.m. Monday to 3 a.m. Tuesday - remember, eating late night cookies is what started it all. But loyal enthusiasts should not fret, even with the ever-growing number of locations, Berkowitz's plan is not for Insomnia Cookies to become as ubiquitous as a Starbucks on every corner. "I don't believe a cookie store on every corner fits our brand. We like to fit nicely into neighborhoods and communities and will continue to grow wherever we can find a welcoming opportunity," Berkowitz said. The Insomnia Cookies brand is now enjoyed not only by students, but by parents, children, professionals, and more - an expansion from the dorm origins. But what if there is another student right now in a dorm at Penn, or any college for that matter, with a revolutionary idea wondering if he or she should just go for it? Berkowitz has some advice to chew on. "There is no better time than the present to give it a try. As your responsibilities grow, it's so much harder to take the leap. That being said, I really enjoyed my college experience and entrepreneurship is a sacrifice," Berkowitz said. You may think after 13 years in the cookie business, Berkowitz might have lost that sweet tooth. 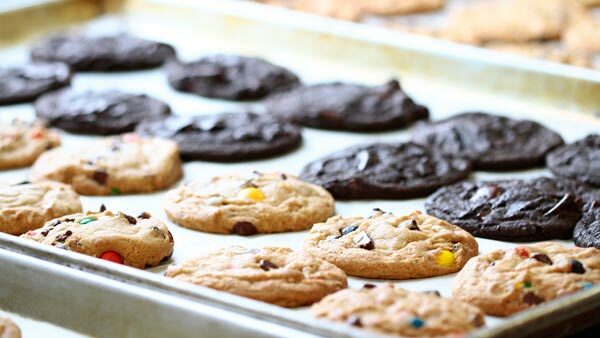 The Penn grad is still satisfying those cookie cravings. "I'm partial to the double chocolate chunk - had one last night - but they are all amazing," Berkowitz said.